The compelling stories of the world's peoples and their migrations through time are enhanced by informative annotated maps and informative timelines. Photographs, paintings and artifacts bring to life the history of human migration. In easy-to-understand language, a team of academic experts examines mass migrations -the motivations behind them, and their impact on the world. Famine, war, persecution and economic collapse in the turbulent 1800s The emergence of the state of Israel, the Eastern Bloc collapse, the India and Pakistan partition, the decolonization of Vietnam and Algeria, and Africa's civil wars. So begins the story that hastouched the hearts of millions worldwide. 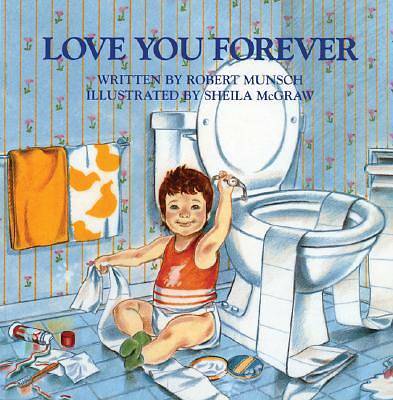 Since publication in l986, "Love You Forever" has sold more than 15 million copies in paperback and the regular hardcover edition (as well as hundreds of thousands of copies in Spanish and French). The Atlas of Human Migration is the definitive record of our planet's people and a volume that will be recognized immediately as an essential popular reference.